Zamudio has installed definitive bins aimed at collecting used nappies, as well as rubbish bins for different kinds of waste. Zamudio has installed definitive bins, in certain locations, aimed at collecting used nappies (inside tightly closed bags) so that they can be duly treated and converted into energy. 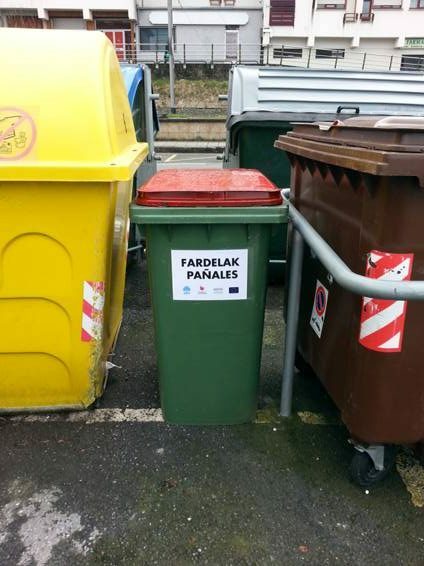 These bins replace the provisional ones that were installed in January. For hygiene reasons, and so that they may be protected from rainwater, nappies must come inside bags. 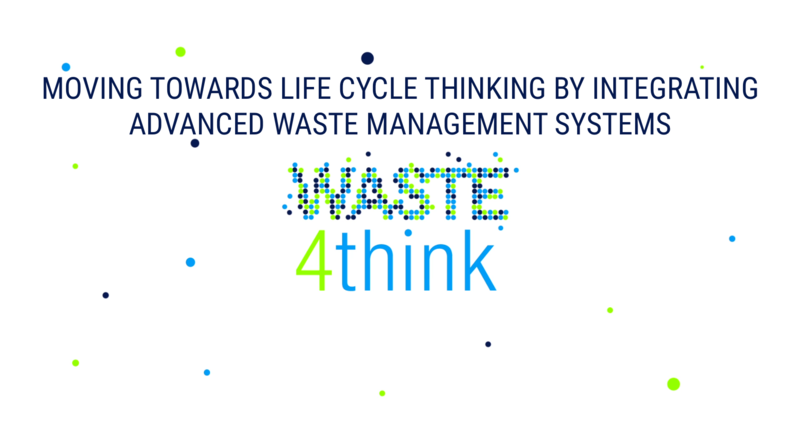 They will later be sent to Halandri (Greece) to be converted into energy through the use of the systems that are being tested there in the context of the Waste4Think project. Additionally, and also in the context of the Waste4Think project and the commitment to separate waste collection, new rubbish bins have been installed in certain locations, painted in different colours so as to make it easier for the waste sorting. Two people from the municipality have been hired for this purpose, thanks to an employment plan implemented by Lanbide. During the next six months they will carry out beautification duties in the municipality, including the installation of the aforementioned bins and the refurbishing of some others installed at the centre of the town that will later be moved to other locations such as parks and gardens. This entry was posted in news, Zamudio. Bookmark the permalink.